You will earn 6,441 Reward Points. Earn 1 reward point for every 1 dollar spent. 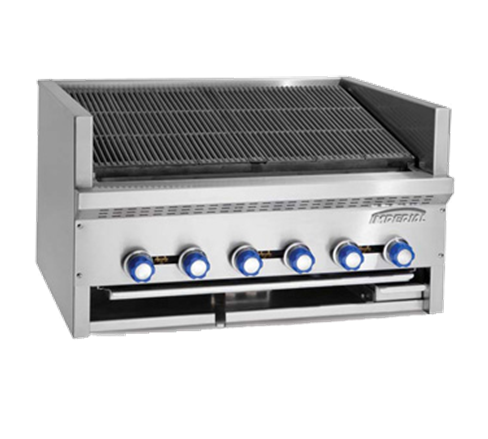 With a slanted cast iron top grate, the Imperial IABR-60 steakhouse charbroiler provides the perfect grilling angle. It also features a sturdy stainless steel construction and 10 stainless steel burners. The countertop chargrill includes a cast iron radiant, grease gutter and removable grease can.